Tell the readers how you got your start playing golf and a little bit about your early development. I started out with a driver, a 5 iron, a 7 iron, and a putter and some friends took me out to play for the first time at the old Regal Golf Club when I was 17. I played all of the other sports pretty well and a good friend thought I should try out golf. That summer, as a beginner I lost a few dollars to my buddies and that made me a little grumpy. I spent the whole winter after that working indoors with Martin Alred and that changed everything. The very next spring, I won the City Amateur and needless to say I won my money back from my buddies. That’s how I got my start playing golf. I just loved it so much that I just kept at it and worked really hard. Martin and I really hit it off and everything he tried to teach me just made sense. Martin also coached Keith Alexander at the same time so he obviously knew what he was doing as an instructor. At what age did you know that you had a special talent for the game and that you might want to make it your career? I think it would have been when I made the Willingdon Cup team in 1951. I played Bill Tate in the final of the Alberta Amateur at the Calgary Golf and Country Club to qualify and that told me that I had the talent to keep at it, shall we say. I went down to California to play some college golf in 1952. I came back to Calgary that summer and in 1953 I planned to turn pro and head out on tour. That didn’t work out so I ended becoming the pro at the Regal before landing at the Country Club in 1954 to work for Jack Cuthbert. In the fall of 1957, a member offered to sponsor me out on tour but that fell through after I had made the commitment to play. You had a short stint on the PGA Tour. Talk a little bit about that and share a couple of your favourite memories from that time. 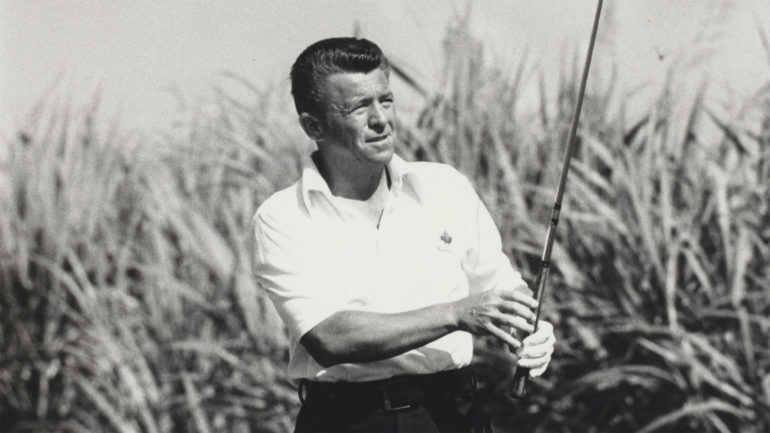 In 1958, I joined the tour in Los Angeles and played every week until the tour got to Detroit, which was the week before the US Open. I made every cut and most weeks I was getting cheques for $25. They only paid about 20 spots and the winner was barely making $1000. My best finish was a 5th place at the Phoenix Open. The reality was you really couldn’t make any money out there at that time and by the time I got to Detroit, I was flat broke. In terms of favourite memories, I had a really good week at the Bing Crosby and was paired with Stan Leonard on the final day. I was on the leaderboard and was going along pretty good until we got to the 6th hole, which was a par 5 (at Pebble Beach) and I hit a 4 wood for my second shot. It was wet, rainy and I caught a flier with that 4 wood that ended up in the Pacific Ocean behind the green and that pretty much did it. Stan Leonard was right in the hunt when we got to 17. After watching me hit driver, Stan got a little cocky, thinking he could get 3 wood there and buried it into the face of the front bunker and made double. Jay Hebert ended up winning. My Pro-Am partner that week was Amos from Amos and Andy. He invited me to dinner one evening and when we arrived at the restaurant, Ben Hogan was having dinner with Vivian, his wife and one of the Firestone boys. They invited us to join them and I had a very nice dinner with Ben Hogan. He was a nice guy, very different from how he has been portrayed over the years. He told me that if I wanted to play my best golf, I needed to move down to a warm climate and play year round. That wasn’t in the cards but I have no regrets whatsoever. I have had a wonderful life playing golf. What did competing as an amateur mean to you as a golfer? Would you have made the same decision today? My amateur status was restored in 1960 and that changed everything for me. I was very fortunate. I was notified in June of that year and that fall I was selected for Canada’s World Amateur team that competed at Merion in Philadelphia. The rest is history. I got to play all over the world representing Canada throughout my career as an amateur. Would I have made the same decision today with all of the money that the pros are playing for? Probably not. I would love to have had that opportunity. If my game was equivalent to what is was in the 1950s and 1960s relative to the players of that day and was competing today, I think I would have made a bunch of money. In the six months I played out on tour in 1958, I didn’t miss one cut. And I was playing without any financial backing. It was tough. Few people will know that the Calgary G&CC is the only club in Canada to have three living members (Bob Wylie, Keith Alexander, Doug Silverberg) in the Canadian Golf Hall of Fame at one time. Describe what is was like to have played at the Country Club in your time. It was great; the competition really kept you on your toes and made the golf a lot of fun. It didn’t matter what day you went out to play, you were guaranteed a tough match. The environment made all of us better players, that’s for sure. Between Doug, Keith, and I, we represented Alberta 61 times in the Willingdon Cup, we had 12 national amateur tiles, 36 provincial titles, and we represented Canada internationally 32 times. And we were all pretty much the same age. And it wasn’t just the three of us. There were a half-dozen other guys that could really play too. It was great for us but it was also great for the club, if you think about it. I don’t think you will ever see anything like it again. We were very fortunate, that’s for sure. As remarkable as our record was as a group, for me personally I could have contributed so much more if I hadn’t gotten into the booze the way I did. In 1972 I finished 3rd in the Canadian Amateur and the RCGA didn’t pick me to go to the World Cup that year because of the drinking. I didn’t really play good golf again until 1980 and if there were any regrets about my career, that would be it. That and not winning the Canadian Amateur. What was the most memorable victory of your career and why? It would have to be my victory in the Alberta Amateur up at Mayfair in 1960. In the 36 hole final, I played Keith Alexander and we had a real dinger of a match. I think I beat him 2-up. To beat Keith at that time was real feather in your cap. He won the Canadian Amateur that same year, beating Gary Cowan in the final. That got him into the Masters the next year. Keith was on his game and so was I. We both loved that golf course and there were a lot of birdies between us that day. We had a really special match that day. 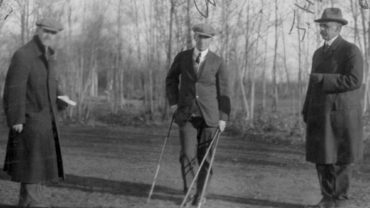 Edmonton was a great city for golf at that time. The people really came out to support and watch the players in the big competitions. There was about 5000 spectators for that final. It was quite something. 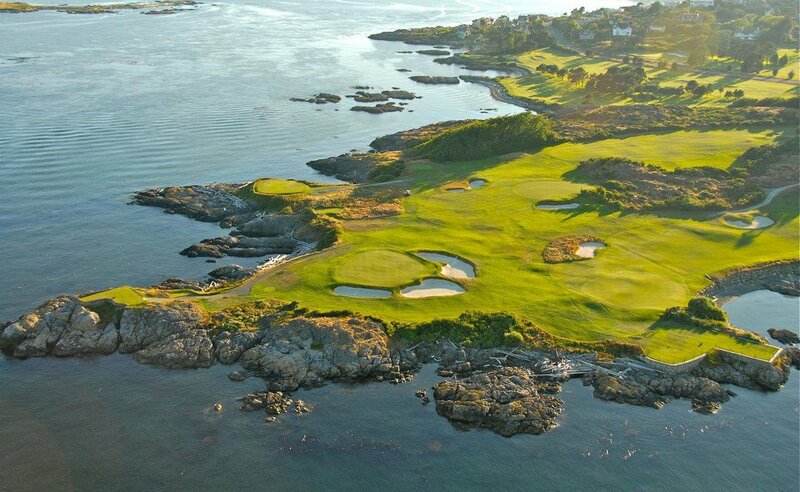 What is your favourite golf course and why? I don’t really have a favourite, to be honest. I have played so many great golf courses in my life that it is hard to pick just one. I feel very fortunate to say that. Royal Melbourne, this one (Calgary G&CC), Riviera, Royal Sydney, Royal Mayfair, Southern Hills, Merion, Turnberry, LACC, they are all terrific. I played a British Amateur at Royal County Down and that’s one I would love to see again. Playing those courses in competition was pretty special. Who was the toughest competitor you ever faced as a player? Silverberg. He wanted to win more than any other player I competed against. You never got a “nice shot” out of Doug. He was out there to beat you, not to socialize and he’d be the first to admit it. He was intimidating because of his intensity; you could see him grinding the entire round. You could never feel like you had him beat because he never gave up. You could be on the green in two with a ten footer for birdie and he could be in the middle of a bush but you would have been foolish to think you were going to win the hole. 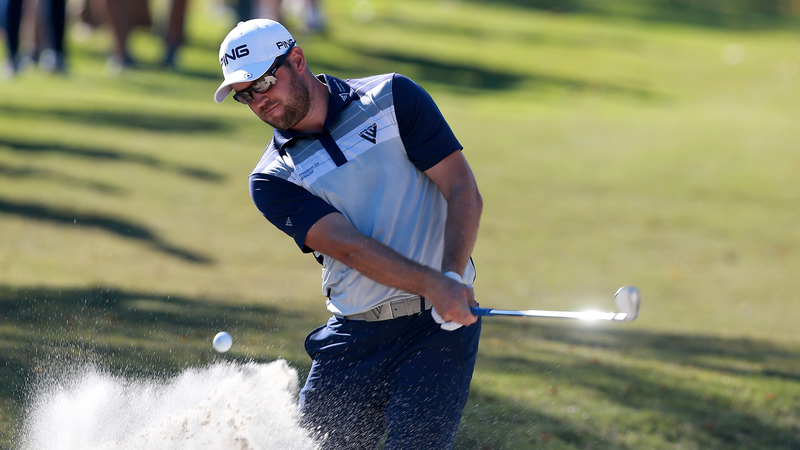 He would make pars and birdies from places you wouldn’t imagine. It was remarkable. He just put his head down and tried to beat you. No one was tougher than Doug Silverberg. You won 7 Canadian Senior Amateur championships in a span of 10 years. What was tougher to win, those titles or the Club Championships at the Calgary G&CC? The Club Championships at the Country Club, for sure. If you didn’t play your absolute best over three days, you had no chance. In those days, you had to shoot a few under par to win. There was a period of time when the championships were match play and I was never very good at match play compared to stroke play. I just didn’t have the killer instinct I guess; when I got up in a match, I wasn’t the kind of player that wanted to stomp on you and finish you off. 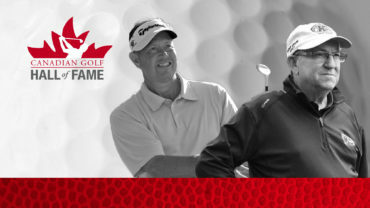 What do you want to be remembered for as a golfer in Canada? I’ve never really thought too much about it to be honest. Sure, I had a lot of success as an amateur but I think I am most proud of the golf swing I developed through a lot of hard work. I don’t think anyone worked at it more than I did. Over the years, I had a lot of nice things said about my ball striking by other golfers and that means a lot. Not to sound immodest, but in my prime, I don’t think I ever played with anyone that hit it better than I did, especially the irons. I never felt like I was awed by any other player. Even as a senior, I could do anything I wanted with a 2-iron, which is a bit of a lost art.